Due to increase in population growth in the world, the health related issues are increasing simultaneously. Generally it has been seen that people living in vulnerable city areas are more vulnerable to health risks and diseases especially where population is high and urbanization is rapidly expanding in an unplanned manner. The rapid pace of urbanization would presuppose an increase in the provision of infrastructure.Urbanization could cause a strain to the municipal infrastructures and finally assessing their impacts on the environment. Municipal solid waste is useless or unwanted material discarded as a result of human or animal activity. 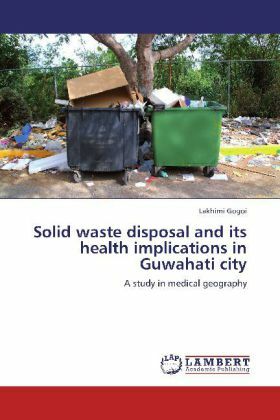 As urbanization continues to take place, the management of solid waste is becoming a major public health and environmental concern in urban areas of many developing countries. The disposal of municipal solid waste is the generation, separation, collection; transfers, transportation and disposal of waste in a way that takes into account mainly public health.